^Heard employees? Yeah. A worker on Vortex told me that he thought the new coaster (Eventually Banshee) would either be a giga or invert. Most employees seem to know no more than you or higher. As for higher ups, I personally have never heard of a giga hinted at, but I could have missed something. I'm like a kid in a candy store when thinking about KI getting a Giga. KI holds a special spot in my heart and Giga's are my favorite coaster type. I love the height and speed. I really hope this rumor becomes reality. I was just curious if any KIC members in the know have actually heard anything. I have not, other than the normal speculation amongst us enthusiasts. If there are those who know, they'd not be able to share. Those who don't know talk, those who do know..... don't. Hence why I put that in my signature on here last spring/summer when the construction speculation was running rampant. It may be there to stay (though not necessarily in as large of a font). To my knowledge, I don't recall there being any recorded interview regarding the possibility of a giga coaster coming to the park. If such an interview were to take place, I'd want something along the lines of "With the recent trend of Cedar Fair installing giga coasters at it's larger parks, what is the possibility that Kings Island will also get a giga in the near future?" I doubt that a high-up park official like Don could disclose that type of information, however the slightest hint could reveal the truth. my guess is the only way you would hear any type of direct "this is what we are planning" scenario for something like a Giga is if KI were to ask the city of Mason, or the state of OH for tax abatement in exchange for expanding the park (most likely a hotel, like they did at Carowinds or to acquire new land like they did in Cali) and using the Giga as a selling point on why the state/city would prosper from the deal as well. You may get a hint, but only when its a point in time that you have no idea that its a hint at all. Coaster development takes a good number of years, I guarantee you KI is already discussing their next major install. Depending on the time frame, they may already be actually planning/designing it. 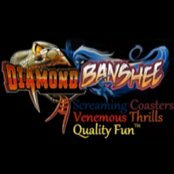 As an aside, the Adam House interview shed some light on something that seemed to coincide w/ what the park did w/ Banshee. He indicated how the park wanted to "spruce new life" into the area around their ride. With Misty, the train got some sprucing, WWC got a new and improved que line as well as some additional sites around the course. Misty compliments each of those established rides. With Banshee, The Bat got a new paint job, themeing (though little of it) a spark of nostalgia and some new site lines as you transverse the course or waited in line. Is this an indication of what the park is thinking as it installs new rides. Would installing a Giga at the back of the park enable them to spruce up The Racer, AE, and Coney? @medford I completely agree with the "sprucing up" approach that the park has adopted. Banshee really spruced up Action Zone and made it a big in-park destination for guests and Mystic Timbers will arguably revitalize Rivertown and draw in more guests than previous years. I always felt that Coney Mall was missing something. Sure there are rides for people to ride, but there isn't an appealing factor to keep them there like there is with Banshee in Action Zone. When I ride Banshee I immediately want to ride The Bat, Delirium, and Invertigo, etc. I don't really feel inclined to stay in Coney Mall after I ride a ride, maybe that's just me. A giga would be something that might spruce up Coney Mall. The same approach was done up at Canada's Wonderland where Leviathan drew more people to the Medieval Faire section of the park. .....and this would be the perfect place to spruce up. Yes, this is to scale using Fury 325. I have never really noticed a dearth of people in any section of the park. Last night during the blackout at Kings Island I took a stroll over from Planet Snoopy over towards AE. Along the way I noticed what looked like brand new footers back behind the Effiel Tower and down by the big formal Kings Island clock. Pretty sure it's not for any new coaster in the future but could it be for a future flat ride? I hope so, but I'm thinking it might have something to do with Winterfest. It is very very likely for Winterfest. Yeah, any footings they need for Winterfest would require, I think, 28 days to cure before they can bear loads. Since they would have to bring heavy equipment out into the park to pour them, they'd either have to pour them in the mornings before the park opens in July, or do it on a day when the park is closed. And the former isn't a good idea since guests might mess with the wet concrete before it sets. So they have to pour them before the season begins in order for them to be cured in time for construction to begin in the fall. That's what I was thinking, likely Winterfest. I would agree that this seems like the most ideal spot for the Giga. They would have sooooo much room back there to do whatever the wanted after the drop. It fits the park well in terms of spacing the larger coasters apart to make the skyline more aesthetically pleasing. Also, the access from X-base and Coney Mall would be perfect. On a side note: I think a launched Giga would be a unique idea. Well Jason McClure from CP just posted this picture tweet a few hours ago. If they are not pulling our leg do you guys think that the rumored KI Giga would be from Intiman? It would be great for KI if it was because we don't have an Intiman. But I'm not sure CF would put an Intiman Giga at KI because MF st CP. I feel they may not want 2 Giga's that close from the same manufacturer. That's why I think B&M would still have a great shot at making the Giga for KI. Regardless this is a win win for us enthusiasts if this picture tweet from Jason McClure is true. What do you guys think? As I asked after your post on the Could Intamin Be Coming Back Thread (or whatever it's called).... why would Jason be teasing for another park? I'd assume he is trolling and found this in a closet somewhere. Never said he was teasing for another park, I think he's feasting for Cedar Fair as a whole.. Cedar Fair did say that they were renewing their relationship with a pervious manufacturer. Jason does work for Cedar Fair, & maybe he's hinting at CP's future. I just find the timing ironic after the Cedar Fair quarterly conference call. He's not hinting at CP's future. They're not going to hint on the next attraction before the current one under attraction is finished. Yes, Cedar Fair is renewing their relationship with a previous manufacturer....it is likely Intamin...however, all signs lead to California's Great America with their planned expansion/growth. The follow up Tweets between he and Tony show that he wasn't teasing but really just messing around. Knowing Jason semi-personally, he was more than likely not hinting/teasing anything for CP. I never thought anything was going to CP, this year anyways. I agree with your CGA comments & I think Worlds of Fun could be in line for Kanonen from Leisberg which is a Intiman ride. But I don't see how any of the relates to what I was wondering in the beginning. If CF renewed with Intiman would KI's rumored Giga come from them since there is already an Intiman Giga in state or would we have a better chance at a B&M. That's the main thing I was curious about & wonder what everyone else thought. It truly depends on how well Intamin proves themselves to Cedar Fair. I don't personally think when KI gets a Giga, it'll be from Intamin....it'll be from B&M more than likely. 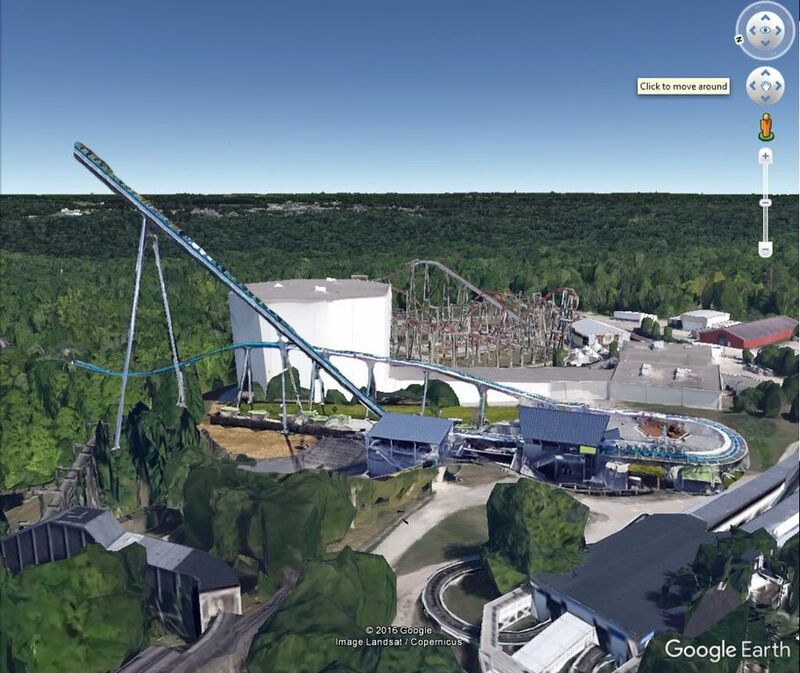 Personally I don't think after 17+ years of Millennium Force being at CP would bar an Intamin Giga Coaster coming into the state, especially with CF owning both KI and CP. Those are valid points. Having ridden Millie, I-305, & Fury I'd prefer a B&M like Fury. These are the only Giga's I've been on. I've never made it to Canada. If Intiman did get the shot at a Future KI Giga I would hope they'd add a little more intensity than Millie. I love Millie to. I'd personally like an Intamin giga with new style restraints like seen on Taron, do that then do a mix of I305 and Fury, then make it have insane airtime! If I had to choose a coaster for that spot, it'd be a compact B&M Wing Coaster (The Swarm or X-Flight) or something like The Smiler. Something like the Smiler would be amazing!!! I had a conversation with a fellow co-worker about coasters the other day. He was from around Sandusky so he knew a lot about Cedar Fair and it's coasters. I asked him if he thinks KI will get a giga soon. To my surprise he said no. However his reasoning was interesting. He said coasters like Millennium Force are fun because of the height and speed but other than that, he preferred coasters like Maverick and Valravn. He said that parks should go for more unique rides like speedsters or 90 degree drops. While I disagreed with his response that the park shouldn't get a giga, he did make an interesting point. I wholeheartedly agree with what he is saying, but I disagree with his point that KI will not get a giga. To the GP, a giga is the best thing ever! My dad, for instance, does not like Voyage or Maverick that much, arguably two top 5 coasters (to most enthusiasts) in the US. Instead, he prefers Millennium Force because how "tall, fast, and smooth" it is. While he does enjoy more unique rides (MT has become his favorite), coasters that are too unique or intense are not his favorite. If KI got a giga, many people would love it just because it's big, fast, and smooth. Am I the only one who noticed all the clearing going on behind Banshee? Maybe KI is going to get a 1-2 punch and we'll get one of these 4 coasters mentioned? It's a far stretch, I know. Just speculating. Here is why my mind is humoring the idea. I could see them expanding the park out behind Banshee. The land is already cleared out from the old animal habitat/SOB and would be a perfect location for either a giga or strata coaster. Maybe even a T-Rex similar to the one possibly going in at KBF? 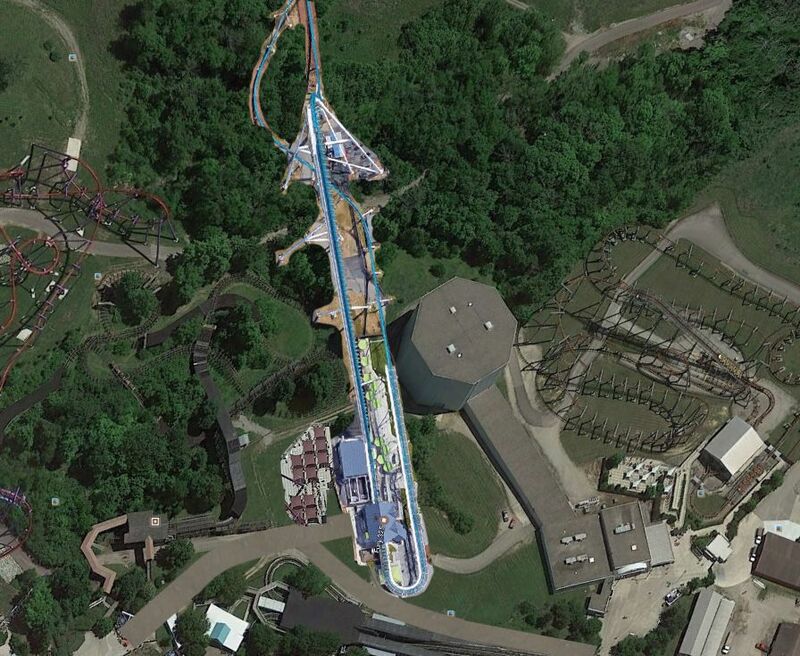 Throw in a few flat rides and create a new midway that will eventually connec to X-Base. At first, I thought maybe a new launch area for the fireworks. I scratched that idea because it would be a huge liability being so close to GWL, parking lot, highway, ECT.. It could be Nothing or something awesome. I've just noticed the clearing doubling in size since my last visit. If it is for an expantion, I would guess CF will put something big out there to lure the crowds. It's hard to see people hiking all that way just to ride a single flat ride. 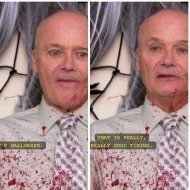 ^You literally posted the same post verbatim in another thread. They have been dumping dirt there since Banshee was under construction, at this point, I see a new coaster there, but not in the immediate future.